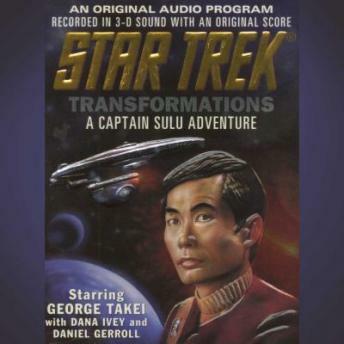 Starfleet diplomat Captain Hikaru Sulu is transported by powerful, frightening dreams to the desolate desert world of Sigma Cameron Four. It was there, as Commander of the U.S.S. Excelsior 20 years earlier, that he discovered traces of the ancient Shalakai -- a ruthless culture who, legend held, had once uncovered the secret to eternal life. Driven to find that secret, Sulu's brilliant science officer, Commander Flynn Konner, launched a fateful mission whose outcome would forever haunt the Excelsior crew. Now, 20 years later, as the distinguished archeologist Dr. Constance Allenwood moves closer to uncovering the Shalakai's secrets on Sigma Cameron Four, Sulu must race to stop her before she unleashes a disastrous chain of events.